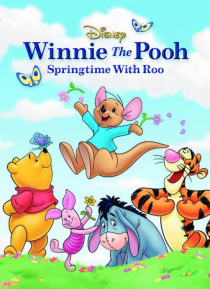 Disney's classic tradition of great storytelling continues with WINNIE THE POOH: SPRINGTIME WITH ROO. This delightful tale stars all your friends including Winnie The Pooh and his little pal, Roo. Every year Rabbit plays Easter bunny but not this year. No bunny means no hunny for Pooh, no Eastery egg hunt for Tigger, no basket for Piglet, no fluffy bunny ears for Eeyore -- and no fun for Roo. Rabb… it expects them all to spring into action: scrubbing, dusting, sweeping, and mopping instead!